(2) the amount paid or incurred by the taxpayer during the tax year for residential energy property expenditures-up to $50 for each advanced main air circulating fan, $150 for each qualified natural gas, propane, or oil furnace or hot water boiler, and $300 for each item of energy efficient building property (i.e., electric heat pump water heaters; electric heat pumps; central air conditioners; natural gas, propane, or oil water heaters; and biomass fuel stoves). The total credit for all tax years can't exceed $500, no more than $200 of which can be expenditures for windows. Also, the nonbusiness energy property credit shouldn't be confused with the residential energy efficient property (REEP) credit available for solar electric, solar hot water, fuel cell, small wind energy , and geothermal heat pump property added to a residence. You can apply this home energy tax credit towards 30% of the cost of alternative energy equipment installed on or in your home. These are generally high-ticket items. For example, a solar electric system for your home may cost around $20,000. If qualified, the credit would be 30% of $20,000, or $6,000. In addition to the federal tax credit , many state and local governments and public utilities also offer incentives, such as rebates and tax credits , for investment in renewable energy property. in deciding whether to make the purchase, you should consider the available incentives and your cost savings in operating the system. To qualify for the credit , the equipment must be installed in a home that is located in the U.S. and that you use as your residence. For fuel cell property, the home must be your main residence. For the other types of property, it can be any residence of yours in the U.S., not just the main one. The credit can't be claimed for equipment that is used to heat a swimming pool or hot tub. If the equipment is used more than 20% for business purposes, only the expenses allocable to non-business use qualify for the credit. Each type of equipment must meet energy -efficiency requirements. You can rely on a manufacturer's certification that a component meets those requirements. You don't have to attach the certificate to your return, but you should keep it with your tax records. The credit covers both the cost of the hardware and the expenses of installing it. You can claim the credit for labor costs of on-site preparation, assembly, and installation of the equipment and for piping or wiring to connect it to your home. The credit for fuel cell property is limited to $500 for each 0.5 kilowatt (kw) of capacity. Other than that, no dollar limit applies to the credit . What's more, there's no phase-out of the credit based on income, so you can claim it no matter how much income you had for the year. • Solar water heating property. • Small wind energy property. • Qualified fuel cell property credit is limited to $500 for each one-half kilowatt of capacity of the property. • There is no dollar limit on the Residential Energy Efficient Property Credit for most types of property. If your credit exceeds the tax you owe, you can carry forward the unused portion of this credit to next year’s tax return. 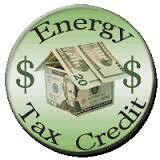 • To qualify for this home energy tax credit, the home must be in the U.S. but it does not have to be your main home. Taxpayers can claim both credits if they qualify for them. As mentioned above, the nonbusiness energy property credit expires after 2014, while the REEP credit will expire after 2016. I hope this information is helpful. If you would like more details about these changes or any other aspect of the new law, please do not hesitate to call our office.